Apple won't shrink from its responsibility to safeguard the privacy of its users, CEO Tim Cook said Monday, a day before Apple lawyers are due to face off with the Department of Justice in a California courtroom. Cook's comments confirm the company's continued defiance against a request from the FBI to develop software that will allow it to make multiple guesses of an iPhone passcode without triggering the phone's self-destruct feature. 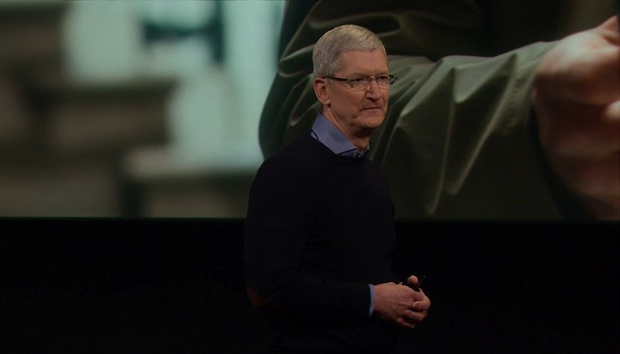 "I've been humbled and deeply grateful for the outpouring of support that we've received from Americans across the country from all walks of life," said Cook at an event in Cupertino held to announce new products. "We believe strongly that we have a responsibility to help you protect your data and your privacy."